Facebook Messenger has a great feature in form of ‘chat-heads’. Now you can have similar chat heads for any app using DirectChat app. Less than 8MB in size, the DirectChat (ChatHeads for all) all is free for basic functions. The app allows you to create messenger-like chat heads for apps like WhatsApp, Hangouts, Kik, Telegram, Allo, and more. DirectChat is also available in a Pro version for Rs. 80 on the Play Store. The pro-version removes advertisements, unlock certain customization and chat options. Let us discuss the app in detail. DirectChat is an Android app that allows you to create messenger-like chat heads for all your messaging apps. You can create, manage, and switch between various apps using these chat heads. This means you don’t need to switch between apps but just chat heads. 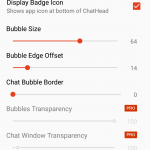 DirectChat (ChatHeads for all) is a small app which is easy to set up. You have to download it from Google Play Store (free download) and then launch the app. 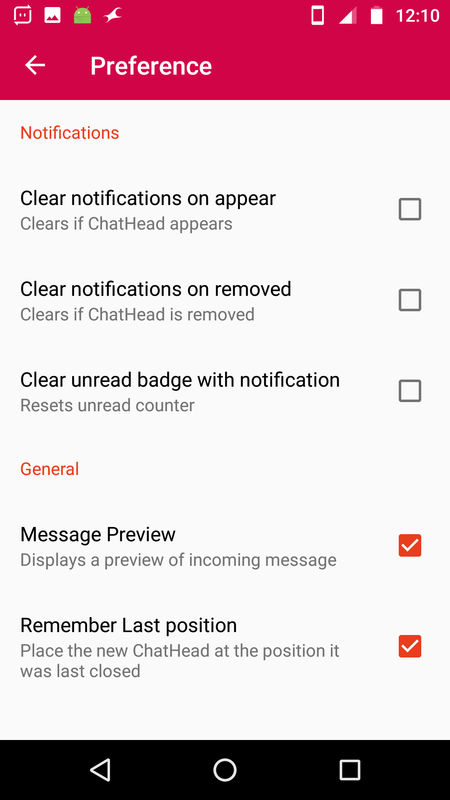 Just grant the app notification permissions and it will pop-open a chat head when a new message arrives. It will look just like the Facebook Messenger chat heads but it works with other apps too. With the free version, you will not be able to launch the chat heads on your own or recover previous chats. Your chats in the DirectChat chat head will be shown from new messages that arrive. You can download the DirectChat (ChatHeads for all) app for free here. You can manage notifications as well as the looks and style of the DirectChat (ChatHeads for all) app. For notifications, you can set the notification bar to remain clear, auto remove, clear unread badge while new messages are displayed in the chat head. You can see the options in the screenshots above. Then there are options to customize the chat bubble functioning and aesthetics. The DirectChat (ChatHeads for all) also has some customization options for the pro-version exclusively. 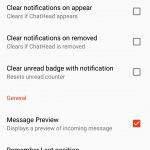 The DirectChat (ChatHeads for all) app supports some messengers by default. In the pro version, there is an option of adding more. 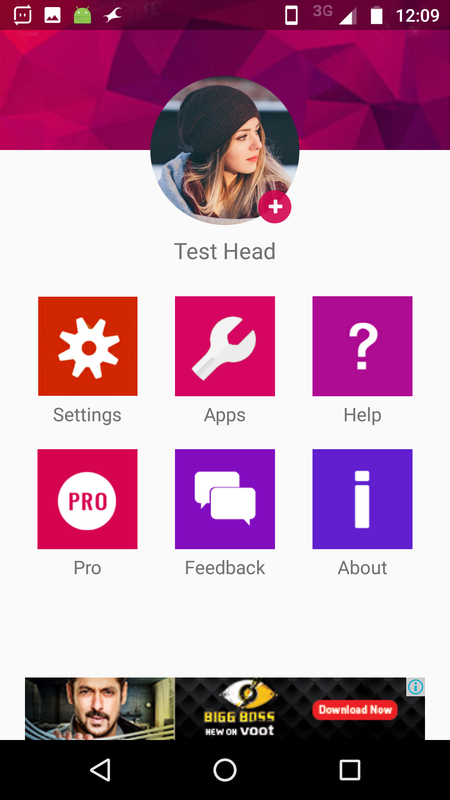 The supported apps for chat heads are WhatsApp, Kik, Hangout, Telegram, Allo, Textra, Skype, Facebook Messenger, Threema, Line, Disa, Plus, Slack, GroupMe, Messenger Lite (for Android N+), Viber, and Gmail. The pro-version of the DirectChat app includes some good features. Firstly, the advertisements are removed. Although the banner display of ads in the free version is also not annoying, it is always much better without ads. While the free version does not list Hike messenger and Google Duo in the supported list, you can expect them to be unlocked in the pro-version. Customization options also increase with the pro-version. You get different chat colors, themes, and chat window settings. 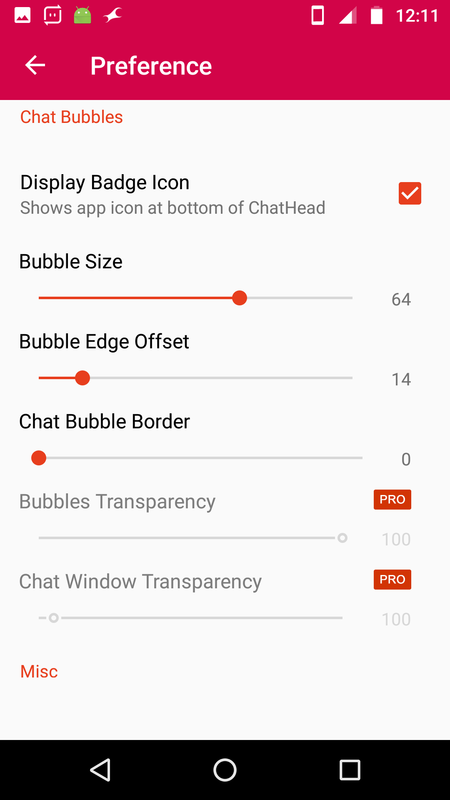 You can get the DirectChat (ChatHeads for all) pro version for just Rs. 80 on Play Store. While the app is good and useful, the interface needs some improvements. For example, you cannot swipe up to close a chat head. You will have to click the chat bubble to close a chat. DirectChat is a great tool for those looking for quick switching between various apps without losing track of the conversation.